New ITR Form – What you need to know? The Income Tax Department has introduced the new Income tax return form with some major changes in the form. The new ITR forms for the assessment year 2018-19 mandate the taxpayers to provide detailed information about their incomes including their GST number and turnover and the salaried class assesses to provide their salary breakup. For the first time, a penalty will be levied on returns filed after the due date. The new Income Tax Returns have been uploaded on the official website of the income tax department (www.incometaxindia.gov.in). To help an employee cope with change in the new income tax returns (ITR­1) form, the assessee will have to give a breakup of his income, including basic salary, house rent allowance, bonus, and professional tax. This is done to assure that the amount of Provident Fund withdrawn by a person is taxable or not. According to the laws made by the Income-tax department, if any amount is withdrawn by an employee from the Provident Fund account before the expiry of 5 years, it is taxable in the hands of the assessee irrespective of the fact that the amount was accumulated by a single or multiple employers. The taxation of employee’s contribution depends on the fact whether the deduction is claimed under section 80C or not in the ITR of the previous assessment years. Also, the taxability of the withdrawal amount differs in the case of withdrawing the amount before 5 years of continuous service and after 5 years of continuous service. If the amount of PF is withdrawn after 5 years of continuous service, the entire amount is exempt from tax and if the amount is withdrawn before the expiry of 5 years of continued service, the withdrawal amount is taxable in the year of withdrawal. If the deduction under section 80C is not claimed at the time of filing the ITR in the previous years, then that amount will not be taxable in the hands of employee at the time of withdrawal from the PF and only the employer’s contribution and the interest earned on both the employee’s and employer’s contributions will be taxable. However, if the employee has claimed deduction under section 80C in the previous years of the amount contributed by him to PF, then the amount withdrawn in respect of employee’s contribution, to the extent of Section 80C deduction claimed earlier, will be taxable in the hands of the employee along with the employer’s contribution and the interest earned on both the contributions. In all the above cases, the rate of income tax applicable will be the applicable income slab rate in the year in which actual PF contributions were made and not the tax rate of the year in which the withdrawal was made. The revision of ITR-2 and 3 was required for the purpose of providing year-wise details of respective contributions made to PF and amount of tax to be paid in case of withdrawal of PF amount before the expiry of 5 years period by the assessee. A revised ITR means filing our Income Tax Return again in case we have committed any error or omitted to disclose any facts while filing the original ITR. 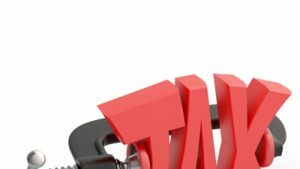 Individuals who have wrongly filed the ITR can revise it, correct the mistakes and the revised return would be considered to have been filed on the same date on which the original return was filed. Earlier this was not the case as the individuals were allowed to revise the ITR only when the original return was filed on or before the due date of filing return for the assessment year. Now, even a belated return that is a return filed even after the due date can be revised. Also, returns that have been already processed by the income-tax department can now be revised, given the taxpayer revises the ITR within the prescribed time limit. 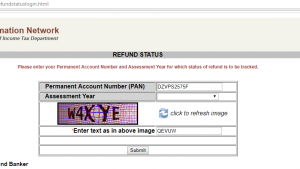 A return is required to be filed before the end of the relevant assessment year. Hence, a revised return for the assessment year 2018-19 must be filed on or before 31 March 2019. However, the facility should only be used if the taxpayer has missed or wrongly entered an item into statement. Willful non disclosure of any item while filing the return for the very first time does not fall in this category. For instance, if the taxpayer did not disclose a source of income on purpose and was sent show cause notice, he cannot escape by filing revised ITR as the assessing officer has all the right to disregard the revised ITR and start the scrutiny. How many times can a person revise an ITR? Taxpayer has the right to revise the return without paying any extra charge as and when he discovers omission or wrong inclusion. The authorities do not keep any limit on the number of times the return can be revised as long as it is revised within the prescribed time limit. It does not mean that you should file your ITR carelessly because it would lead to complications in future. Further, multiple ITRs can cause suspicion among the Income Tax authorities. The process and manner of filing a revised Income Tax Return are the same as filing an original return. It just that the revised ITR would have the changes that the taxpayer has made. 1) Go to the e-filing website of Income Tax Department and use your credentials to login. Then, go to My Tax Return under My Account. 2) Click on the option View Details for the year you want to revise your income tax return and in the in the same tab, provide the details of the original return filed, such as filing date and acknowledgment number. 3) Scroll down and click on Click once done with making new entries. 4) Your return will be marked and then you can make desired corrections and changes. 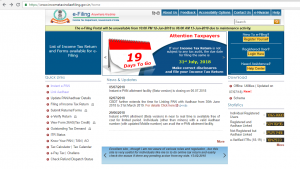 5) Go to Tax Filing Tab and click on Proceed to e-filing. Once the revised return is filed, ensure that you have e-verify the same your income tax return as Income tax department will not accept the revised tax return, unless it is verified by you. Last date of filing the ITR is just around the corned and it is time to be aware of all the rules that have been revised in filing process. It would be good to understand these processes since you do not want to make any mistake while ITR filing the return. Previously, the provision of late filing fee was there but an individual had to pay 5000/- if he filed the income tax return after 12 months from the year end. It could have been waived off in case the taxman was convinced that there was a genuine reason. The last date to file the belated return for FY 2017-18 is the March 31st, 2019. After this date, late filing is not permitted even if an individual is willing to pay the applicable late filing fees. If the landlord is receiving the rent of more than 50,000/- per month from the tenant, the amount would be subjected to TDS. If the tenant has undertaken the compliances by his PAN, the field for mentioning the name of the one who would deduct the tax are modified so that the name of the tenant can be put. Sahaj form is still available but cannot be used by someone who is a Non-resident or Not ordinarily resident. It implies that NRIs who are outside India or foreign nationals residing in India would have to fill the details of their income sources. Validation Rules – The Income tax department has laid down various validation rule for filing the Income Tax return. The tax payer would need to go through and comply by all the new validation rules that are in the place. Presumptive Tax scheme is meant for the small businessman and professionals who cannot afford to hire a professional accountant. On most occasions, incomplete filing can be seen as the under compliance of the taxation or even non-disclosure of the income. To make sure that the honest taxpayers do not have to bear the brunt, the presumptive ITR has minimal compliance requirements. 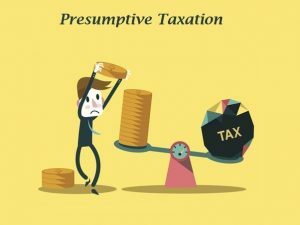 Who can Select Presumptive Taxation Scheme? Take for instance, an individual who has the total receipt of less than Rs 50 lakhs annually and does not own more than 10 good carriages and is into the business of plying, hiring or leasing can go for the PTS. GSTR number of the assessee and the turnover as per GST return filed by the assessee. Under the GST regulations, if a businessman or professional has a turnover below Rs 20 lakh during the last fiscal year, there is no need of GST registration and he is eligible for PST. The GSTR number should be left blank. 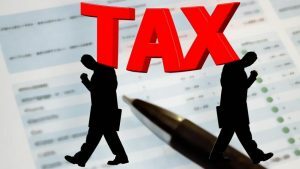 In case the taxpayer has capital gains along with the business income, then he should opt for ITR-3 rather than ITR 4 according to the tax experts. in order to avoid any form of penalty. Only recently, government came up with a big change when it squeezed the timeline to file the return for financial year 2016-17 till March 31st 2018 which was previously allows till 31st March 2019 according to the previous rules. This was primarily done in order to stop tax evasion. Under the new rule, last date to file the tax for financial year 2015-16 and financial year 2016-17 was March 31st 2018. In case an individual could not comply with the final deadline, there are very few options. However, you should be relived that there are few options ahead. If an individual is filing the income tax return after the due date, it is called filing belated return. As per the previous law, a belated return can be filed anytime before the assessment year ends. However, in case the taxpayer could not even respect the belated return date, there are few options left. The Income tax department allows an individual to file the return even after the deadline of 31st March 2018. However, it is required that an individual should offer the sincere reason behind the delay if the authorities must grant permission to file the return. In order to convince the taxpayer, one should file an application of consonance up to six years from the from the FY 2015-16 to the last date that would be 31st March 2023. In case you did not pay the taxes for the relevant year, under U/s 234A, u/s234B and u/s 234C, the tax amount should be paid. In case, you have paid the tax but could not file the ITR, it is not possible to apply for the condonation of delay. Additionally, the Income tax department might send the notice of penalty, maximum Rs 5000. If the individual is able to furnish the valid reason and income tax payer agrees that is a genuine reason, the penalty can be waived off.